Where Do I Find Biblical Support for the Trinity? I’m having a hard time with the issue of the Trinity in terms of finding support for this concept in the Bible. I am searching your website and other sites to get a handle on this doctrine. I need to be well versed on this issue as I am in a discussion with two Jehovah’s Witnesses where we will be addressing the explanation of the Triune nature of God. All of the other issues I can address and I’m doing okay, but the Trinity has got me a little stumped right now. Can you help me? I’m so glad you wrote!! I can imagine why you would be having a hard time with the concept of the Trinity if Jehovah’s Witnesses are talking to you. And that’s why I’m doubly glad you have access to the Probe website to help you be grounded in the truth, as well as equipping yourself to answer their faulty arguments. 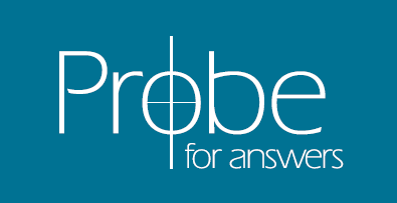 If you have further questions, we are available to answer them through e-mail (info@probe.org) or telephone. "Is It Small-Minded of Me to Base Morality on Scripture? ""Where in the Bible Does It Prove that Jesus Was 100% Man and 100% God?"